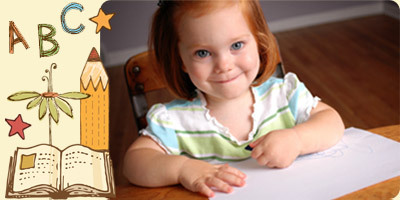 The preschool I program at Xavier accepts children who are between the ages of 24 and 36 months. Children are beginning to talk in sentences and express needs, ask questions, and recite simple rhymes. They will participate in conversations and share their thoughts. Children understand action words and they like to communicate often using big words to describe their actions. Preschoolers learn to communicate in sentences and sometimes paragraphs. They are learning to apply their communication skills through reading and writing. The preschool I program provides children with opportunities for increasing independence through child-initiated play. Toys are stored on low open shelves allowing children to select the activities that they want to engage in. The preschool-I classroom also introduces children to a more structured environment that begins with a teacher led circle-time each morning. The Xavier preschool-I teachers provide children with engaging activities throughout the day. Teachers set up centers for children to participate in, such as sorting shapes, art, or reading books together. The preschool-I teachers provide children with both close supervision during activities but also allow children to be active explorers in the classroom.